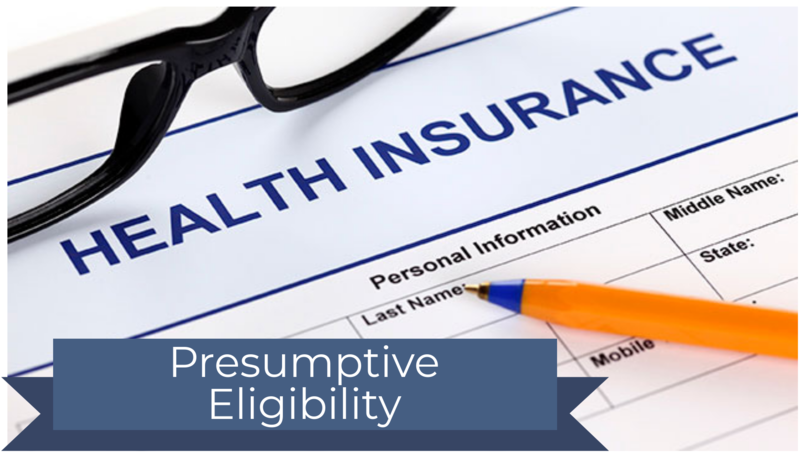 Presumptive Eligibility (PE) Insurance is a temporary Medicaid insurance that helps people to get the medical care that they need while they wait to find out if they have been approved for ongoing insurance (Medicaid or hawk-i). Who qualifies for PE Insurance? Scott County Health Department staff can help you complete an application for PE insurance. If approved, the temporary coverage begins the same day that you apply. For more information, please call 563-328-4114 or visit Iowa Department of Human Services.